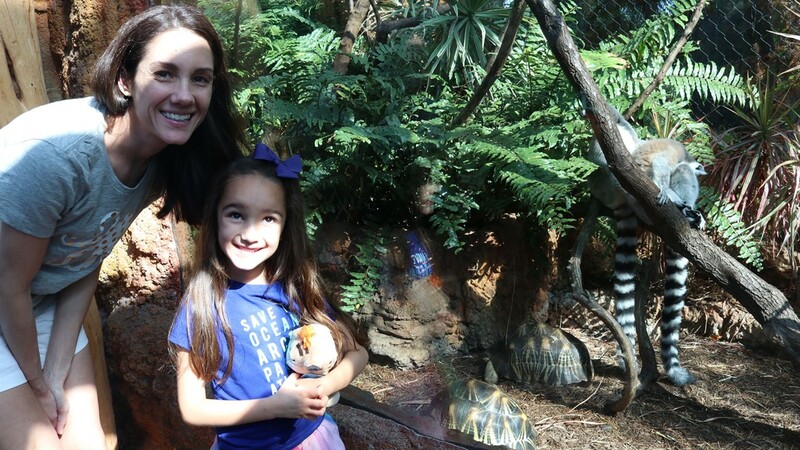 Makenzie Bass with her mom Christine at The Florida Aquarium. 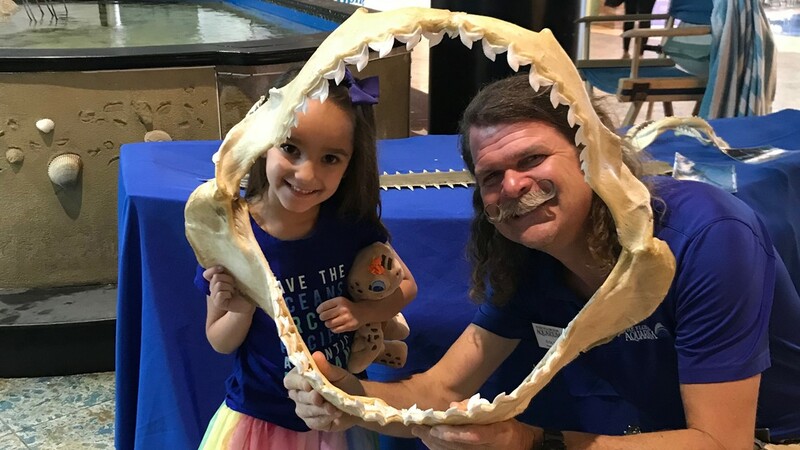 Makenzie Bass and Eric Hovland holding a shark jaw. 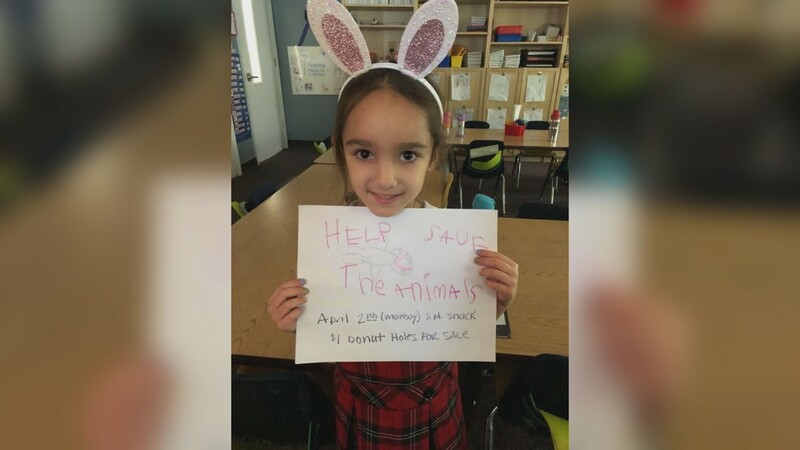 Makenzie Bass holds a sign at her bake sale at Carrollwood Day School. 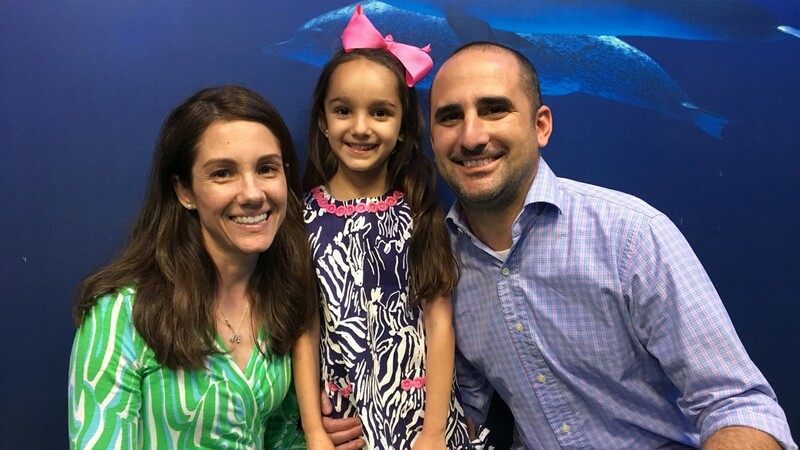 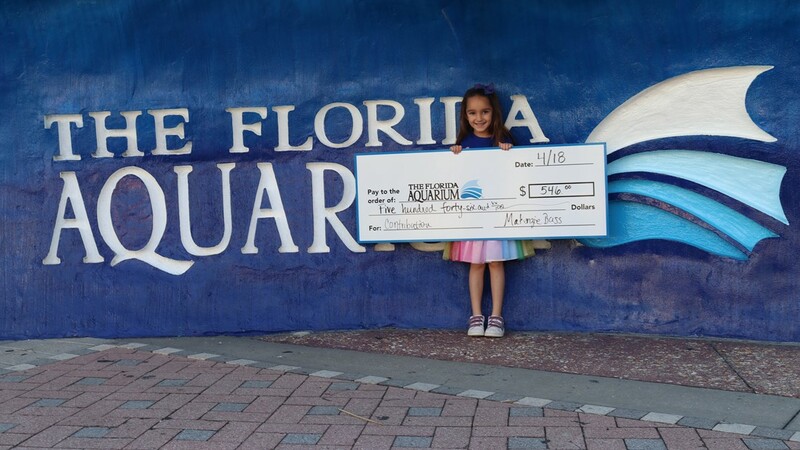 Makenzie Bass, 6, presents a check to The Florida Aquarium after raising funds for ocean conservation.